It's not often I think much of an in-store wine tasting on a Saturday afternoon in a "big box" type store selling wine. A few days ago I was on a errand to buy some spices and stumbled upon various wine distributors offering up samplings throughout the store, so I thought why not give a few new labels a try. I must admit, I was striking out for wines I liked until this one, so I bought a bottle. Given the affordable price point ($8) and a "like" with my tasting, I felt like this was a great find. 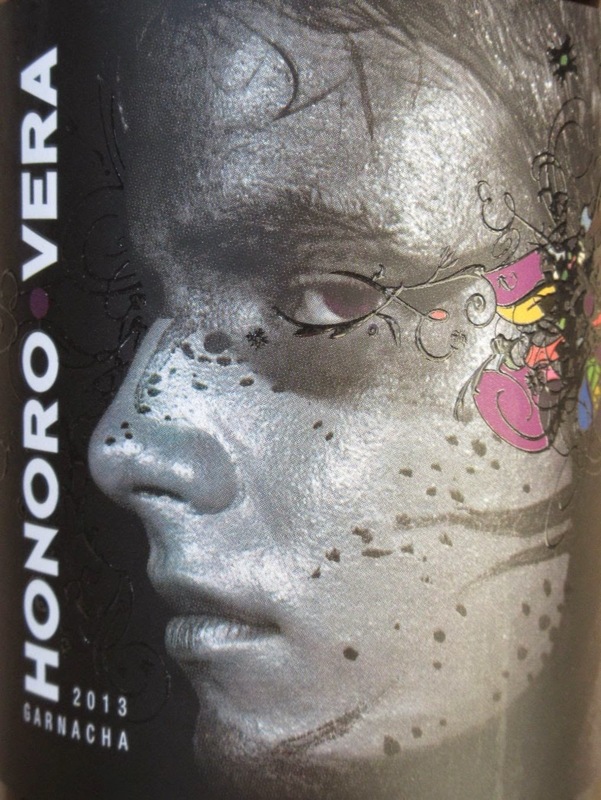 The wine varietal is Garnacha which is very popular for this region in Spain. It opened up with aromas of dark cherries and black pepper spice. On the first taste, flavors of ripe plums, blackberries and macerated strawberries gave way to a nicely balanced, fruit forward wine, yet not too sweet. Medium body tannins with a slightly dry finish supported a flavor profile of what you'd expect in a much more mature vintage. This was an excellent wine for the price and my intentions are to go buy more before the price increases. I'd recommend you check World Market or your local wine store and pick up a bottle for yourself. Don't let the label scare you.